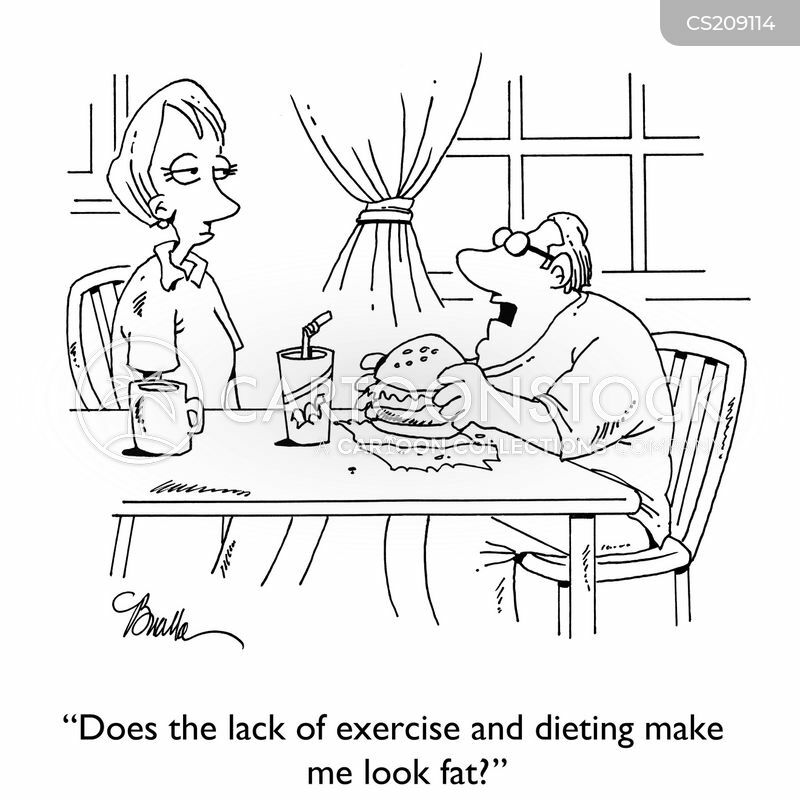 "Does the lack of exercise and dieting make me look fat?" 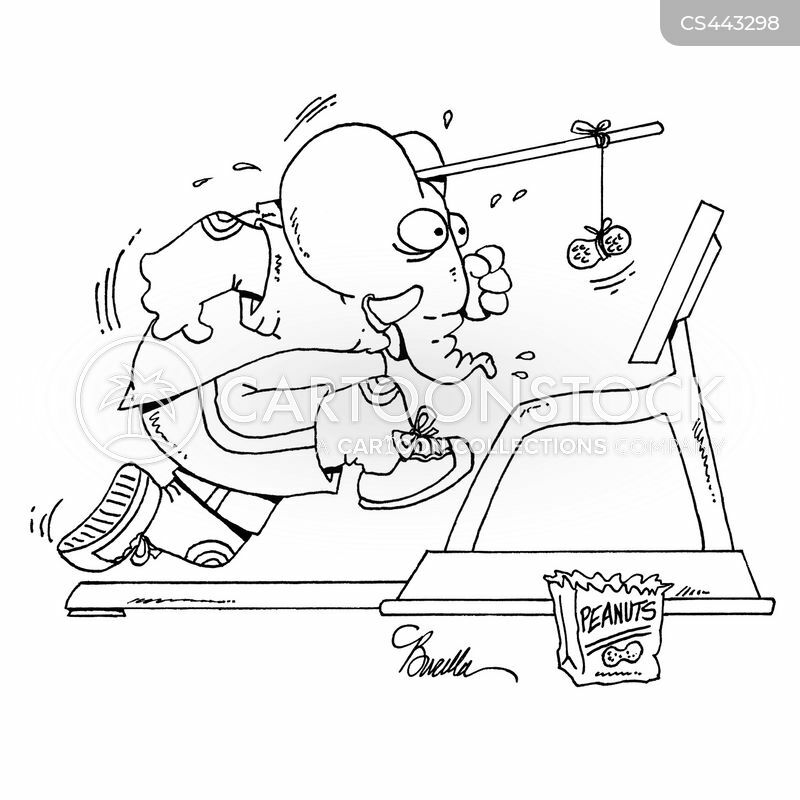 Elephant chases peanut on stick while running on treadmill. 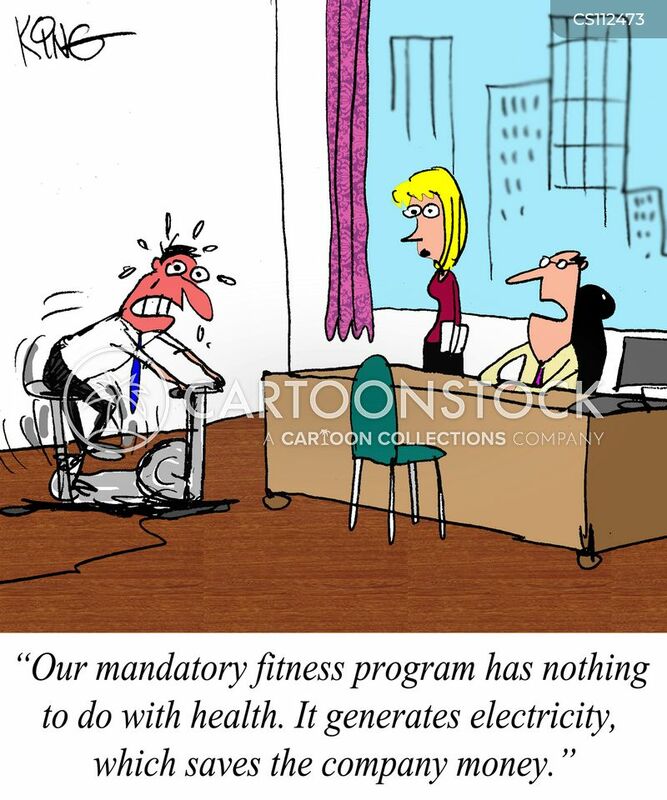 "Our mandatory fitness program has nothing to do with health. 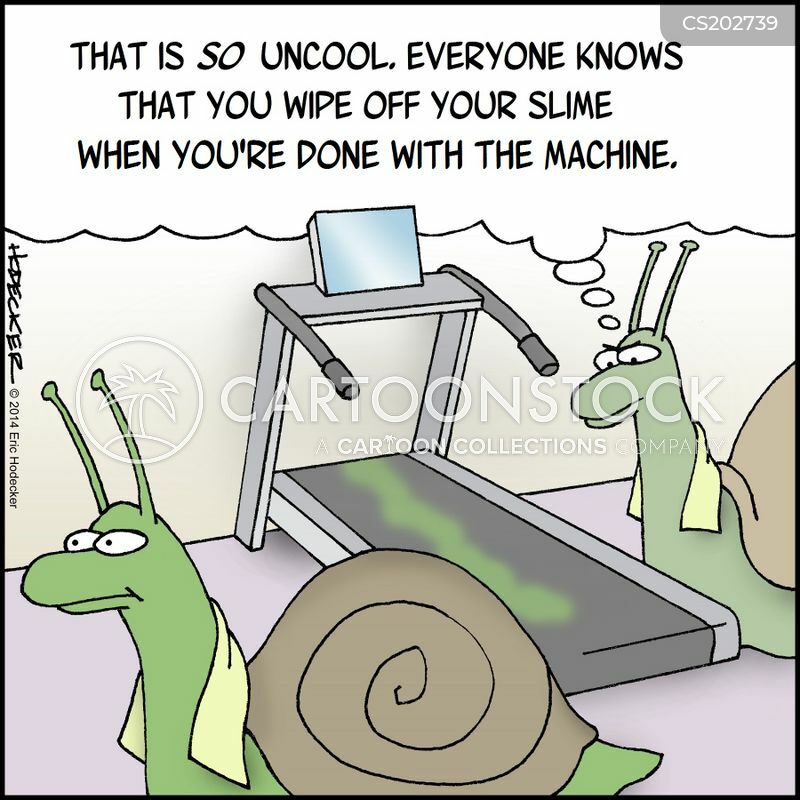 It generates electricity, which saves the company money." 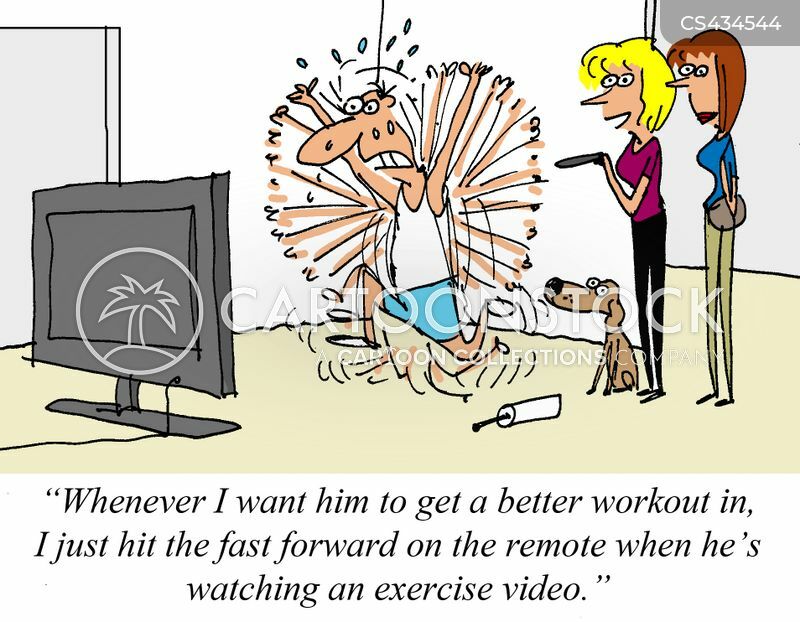 "Whenever I want him to get a better workout in, I just hit the fast forward on the remote when he's watching an exercise video." 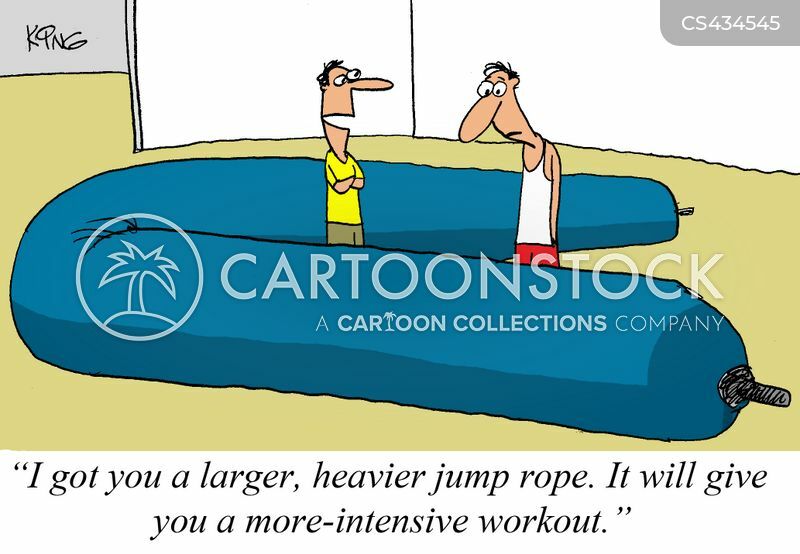 "I got you a larger, heavier jump rope. 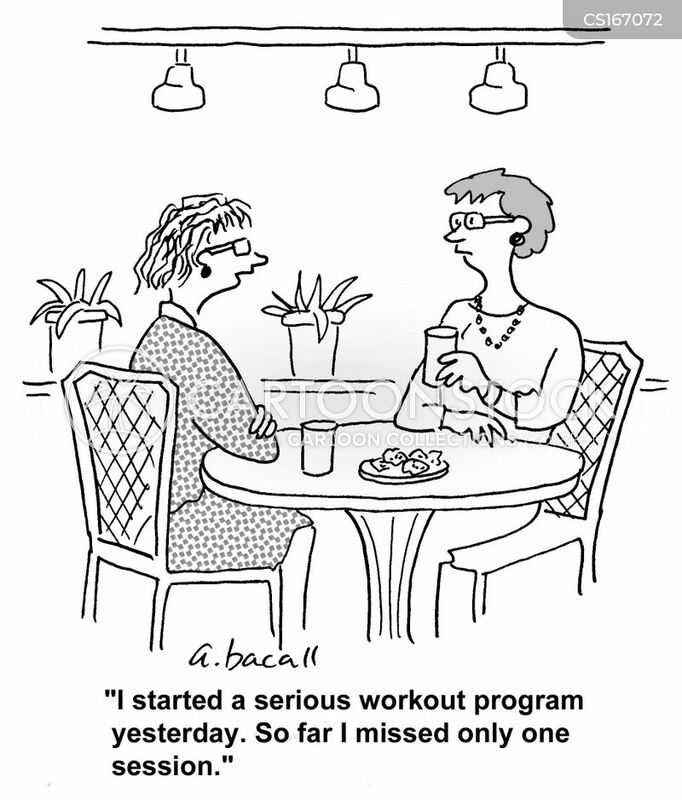 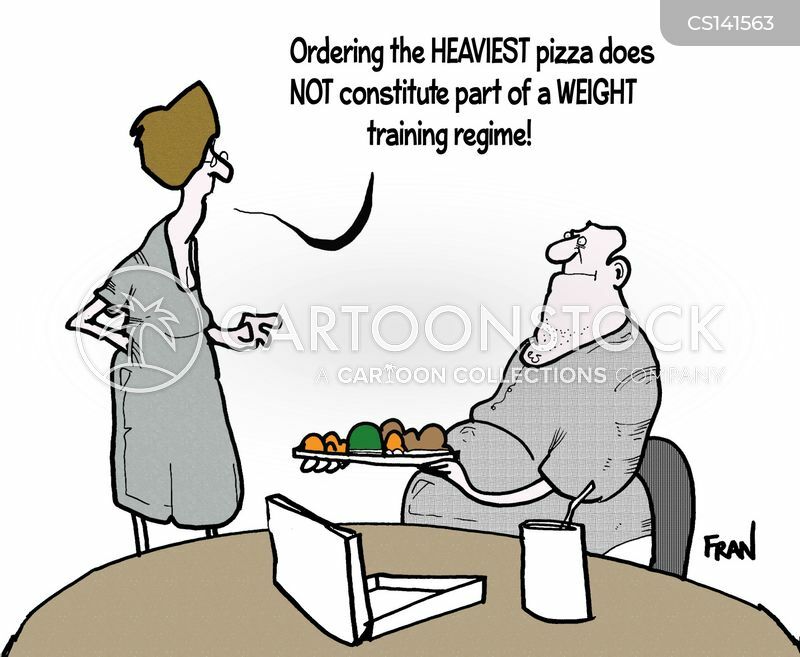 It will give you a more-intensive workout." 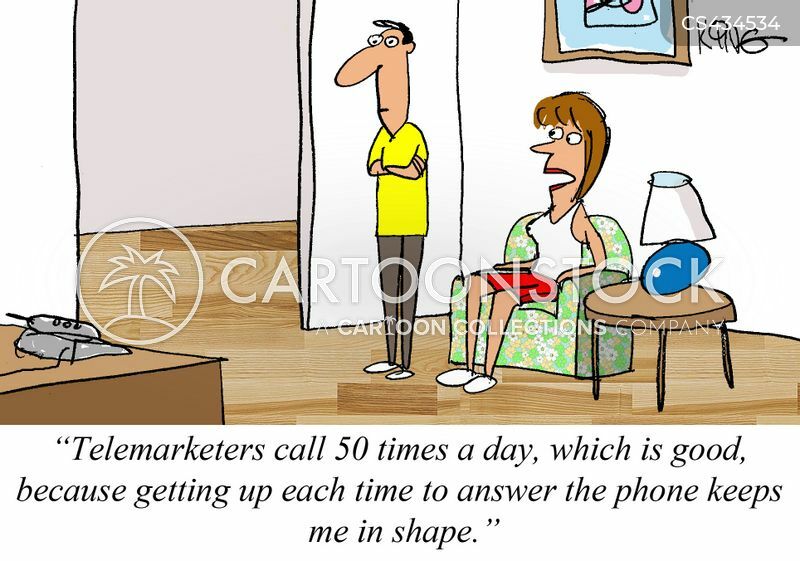 "Telemarketers call 50 times a day, which is good, because getting up each time to answer the phone keeps me in shape." 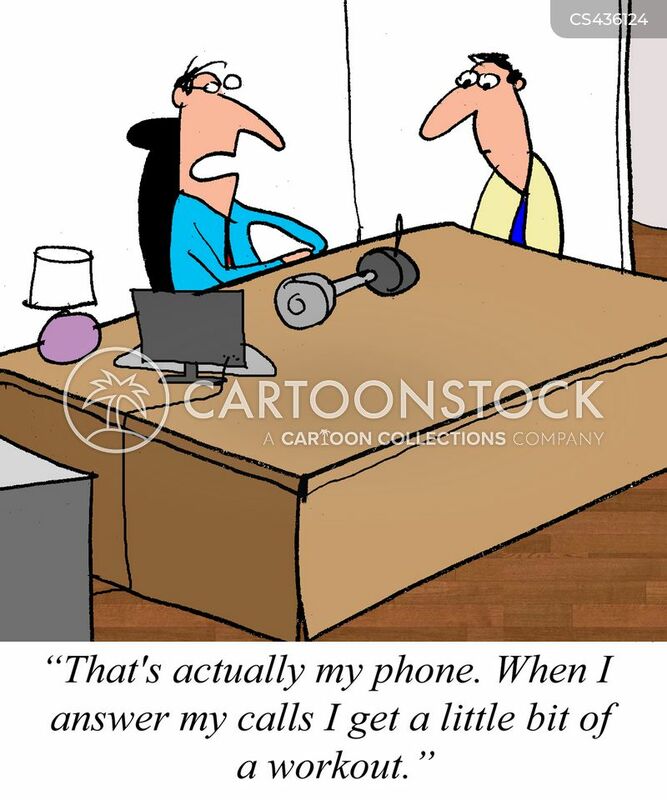 "That's actually my phone. 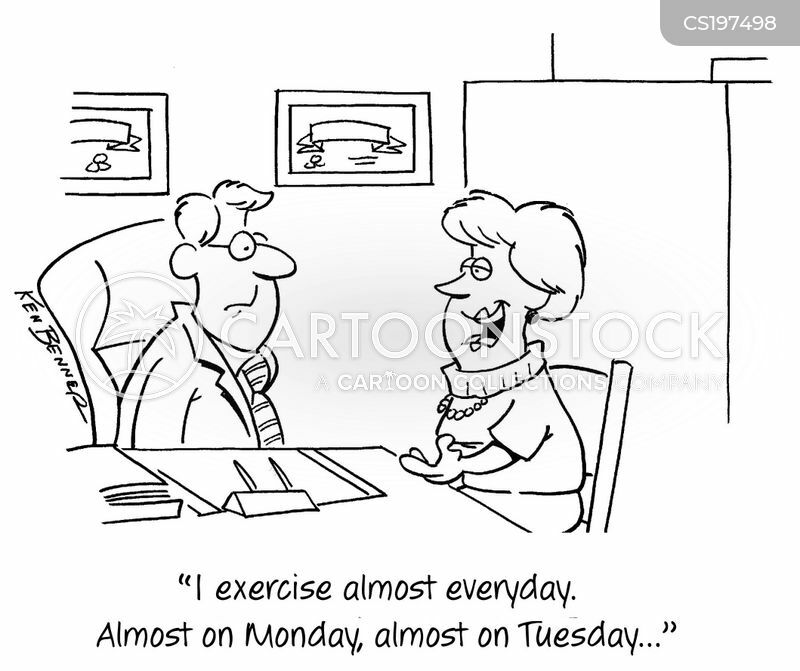 When I answer my calls I get a little bit of a workout." 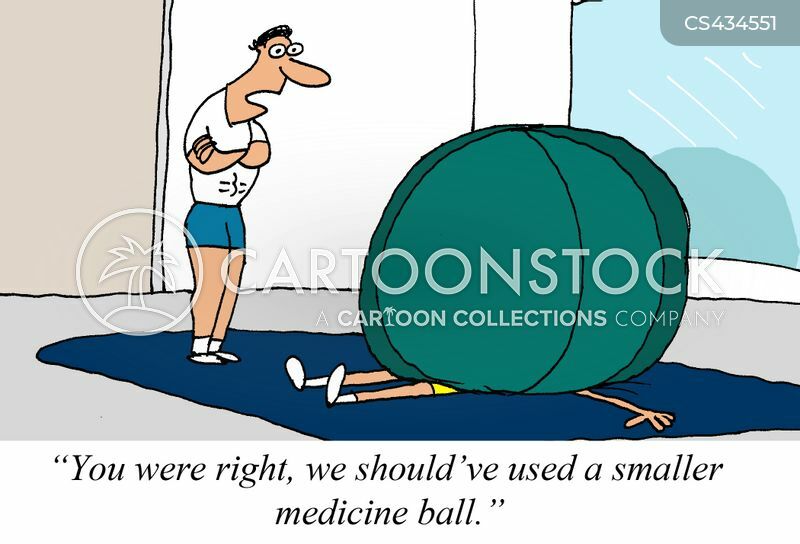 "You were right, we should've used a smaller medicine ball." 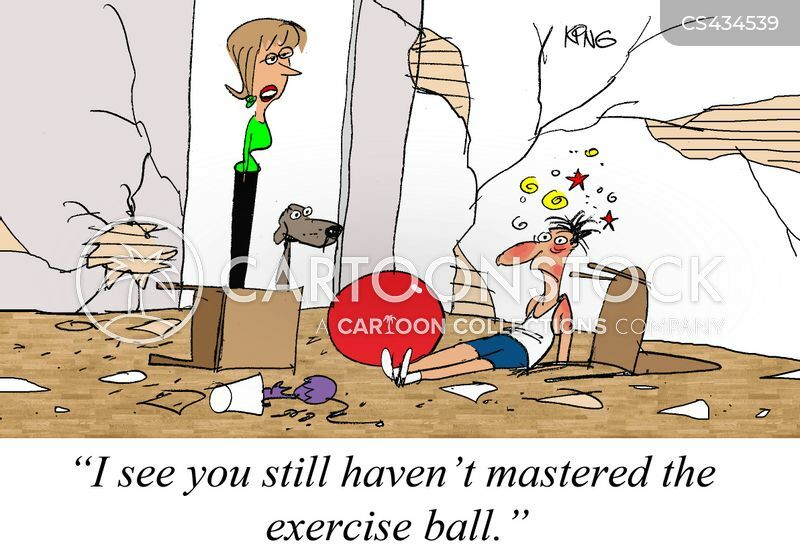 "I see you still haven't mastered the exercise ball." 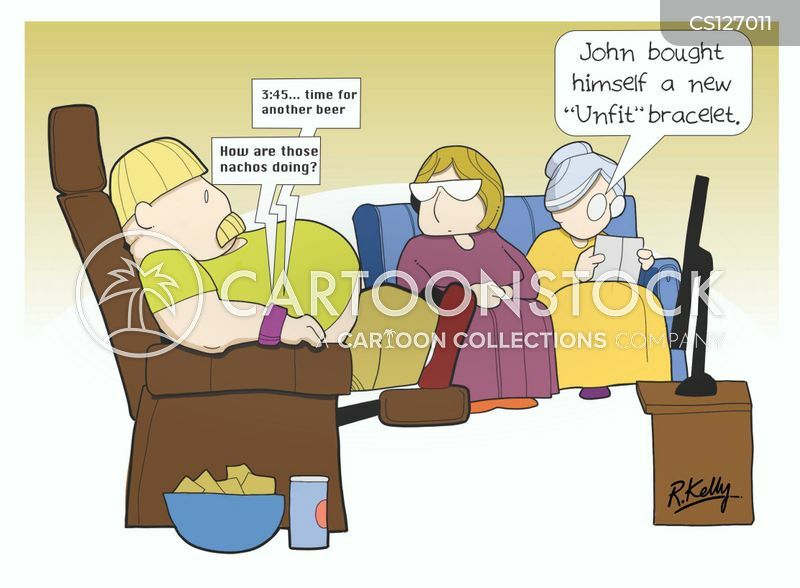 "Yes, I am watching reality shows, but not because I like them. 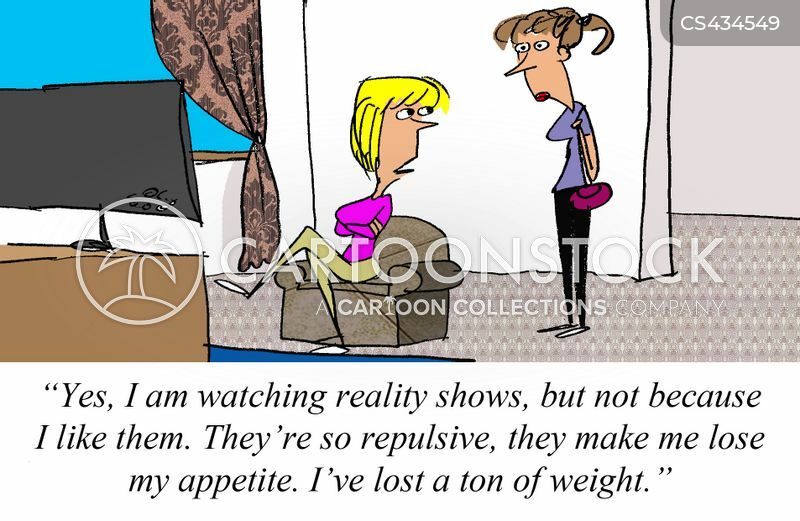 They're so repulsive, they make me lose my appetite. 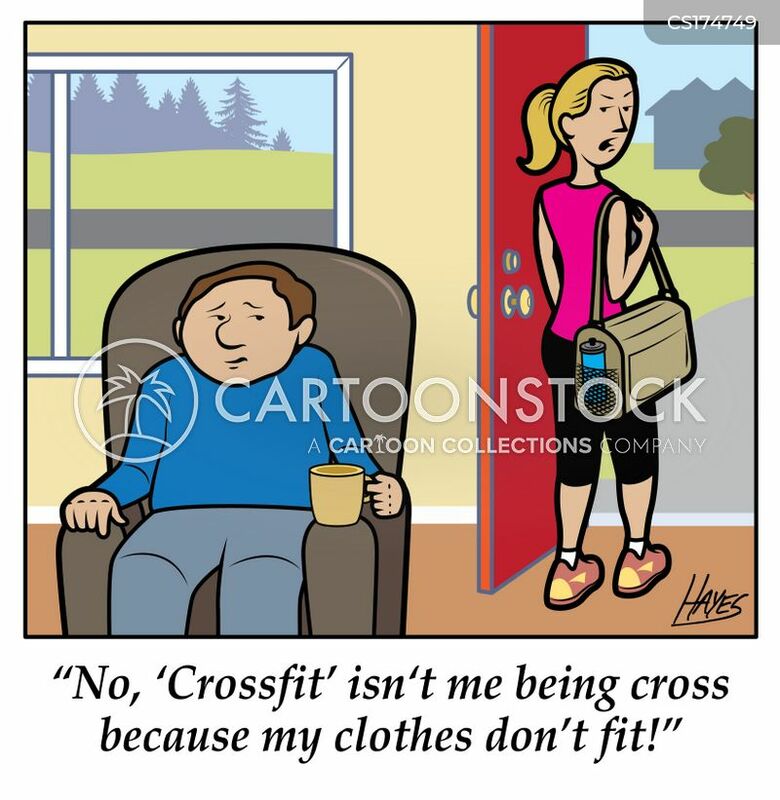 I've lost a ton of weight." 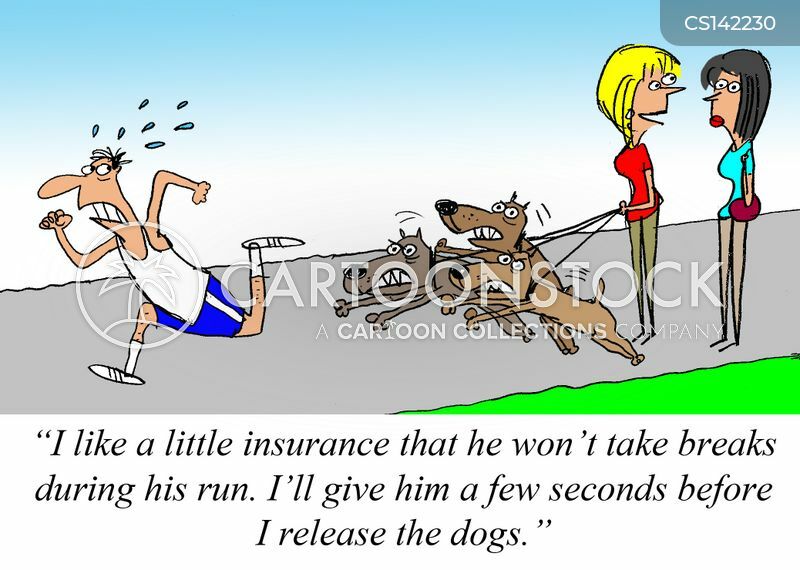 "I like a little insurance that he won't take breaks during his run. 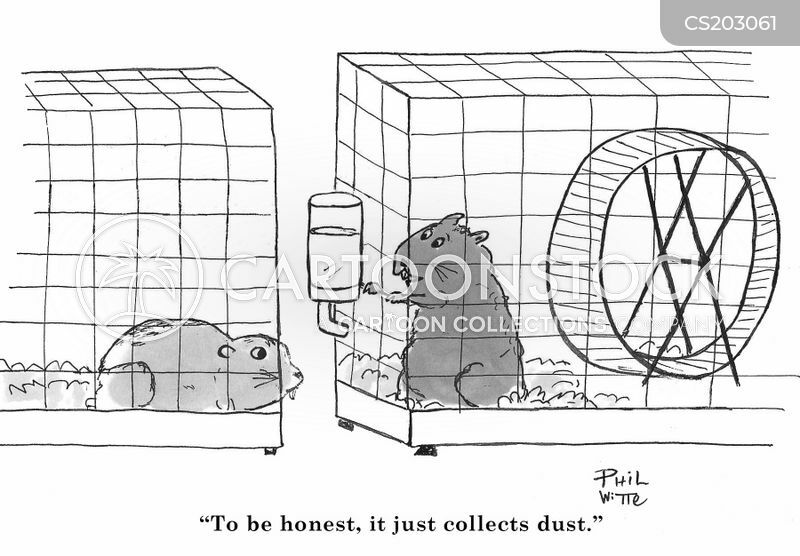 I'll give him a few seconds before I release the dogs." 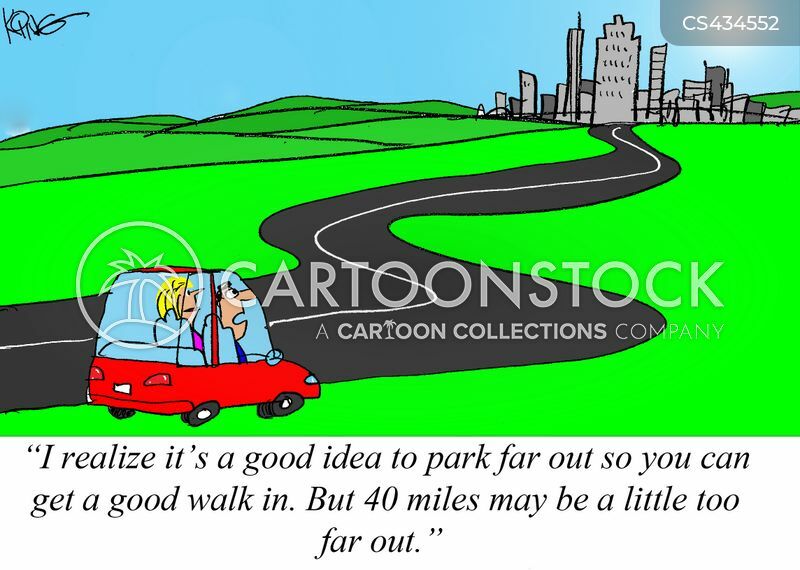 "I realize it's a good idea to park far out so you can get a good walk in. 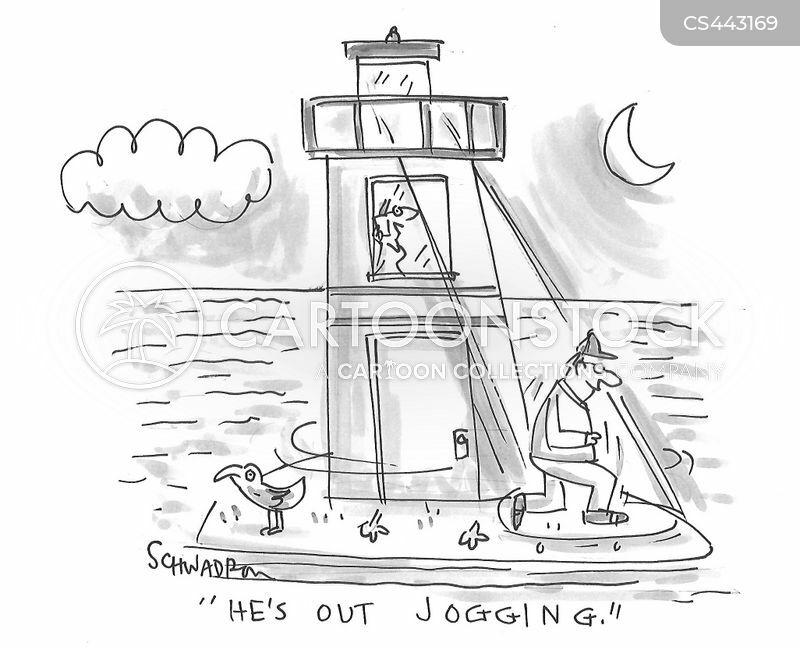 But 40 miles may be a little too far out." 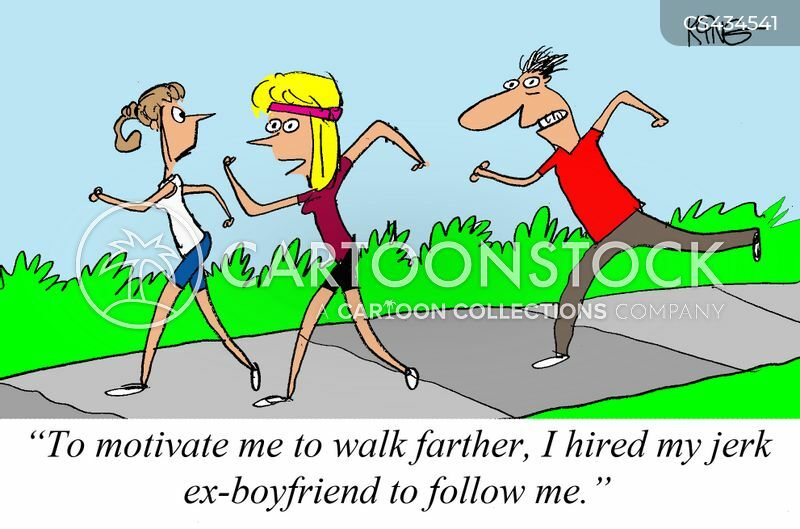 "To motivate me to walk farther, I hired my jerk ex-boyfriend to follow me." 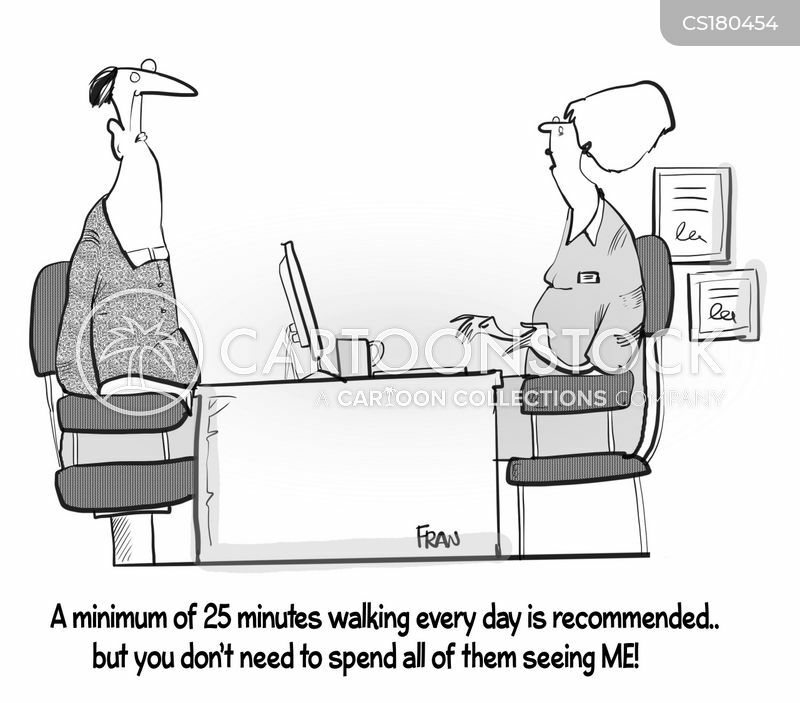 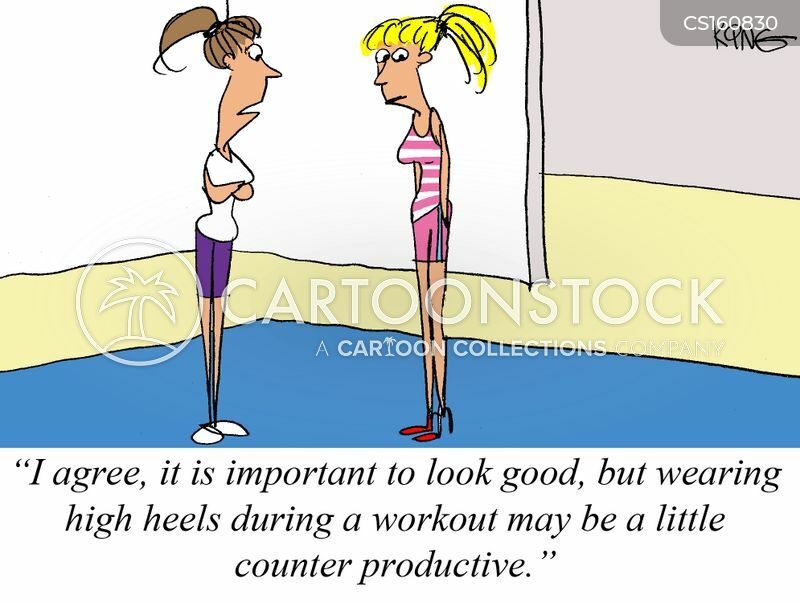 "I agree, it is important to look good, but wearing high heels during a workout may be a little counter productive." 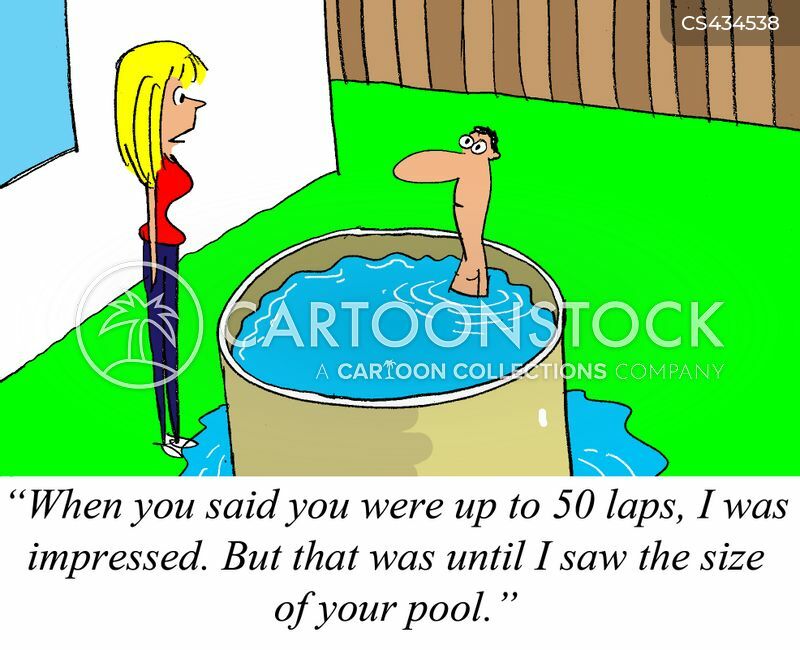 "When you said you were up to 50 laps, I was impressed. 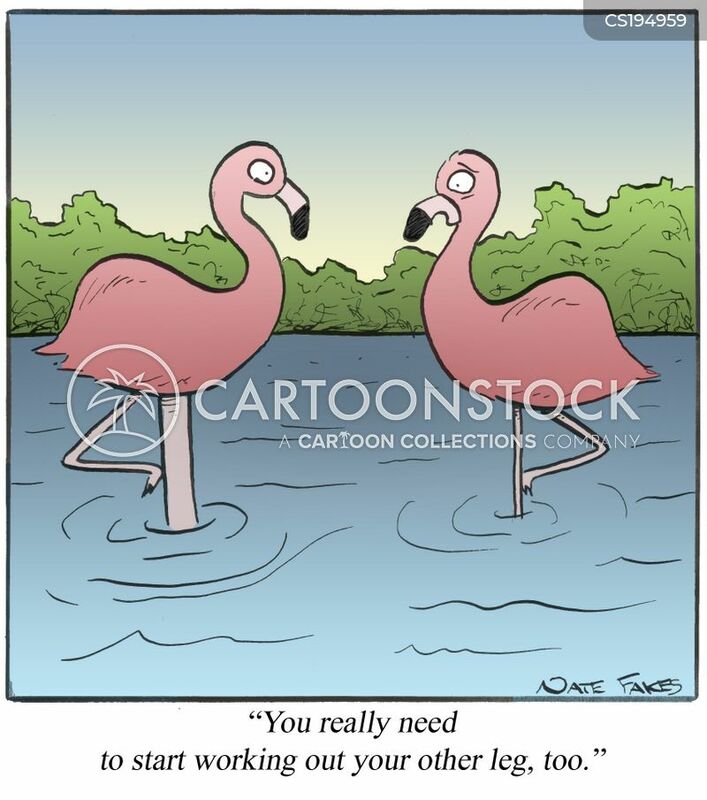 But that was until I saw the size of your pool."